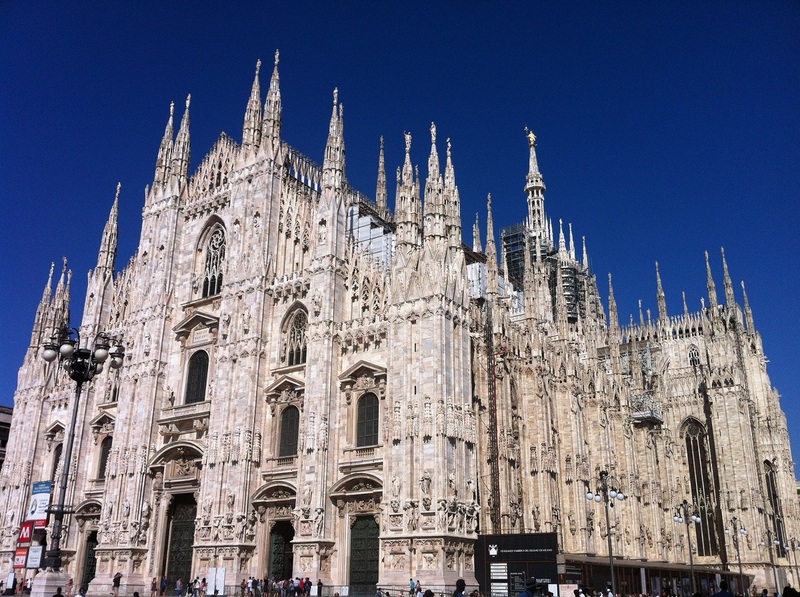 Surely a weekend getaway is too short to experience Lombardy, but with limited annual leave and bank holiday per year, a weekend break to Italy’s finest region could be a fantastic treat! 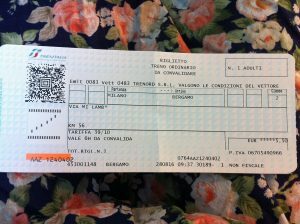 It was on late June, when me & my husband looking at the map of Italy and wondering where we can escape in the next bank holiday – in August. With a great flight connection from London, and of course the short route into Milan, Bergamo it is then the choice where we spent our Summer bank holiday. 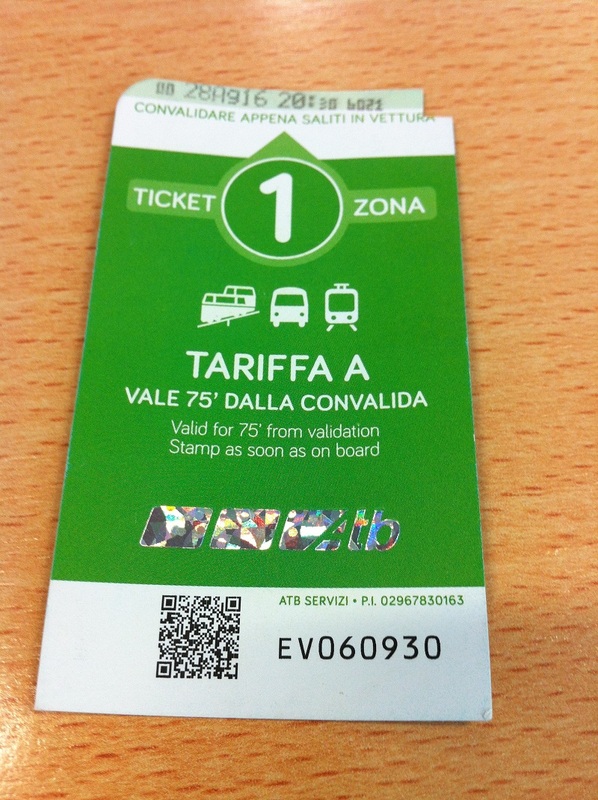 Once we landed into Bergamo Airport, we buy a bus ticket to Bergamo Citta Alta – the bellissima upper city of Bergamo. We got into the Upper Town in about 20 minutes. 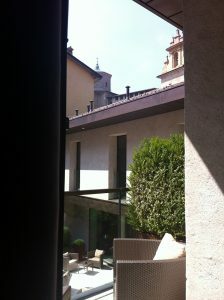 And we headed straight into our hotel: Relais San Lorenzo. 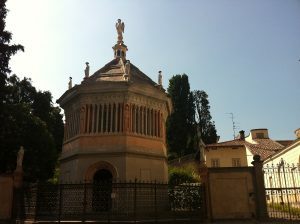 The hotel is just yards away from this beautiful Lombardy Venetian bell. 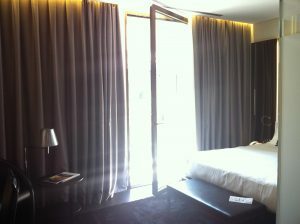 Special thanks to my husband who treats me to this wonderful hotel. 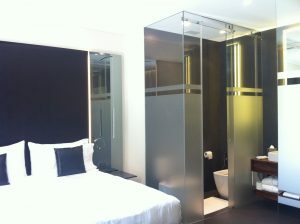 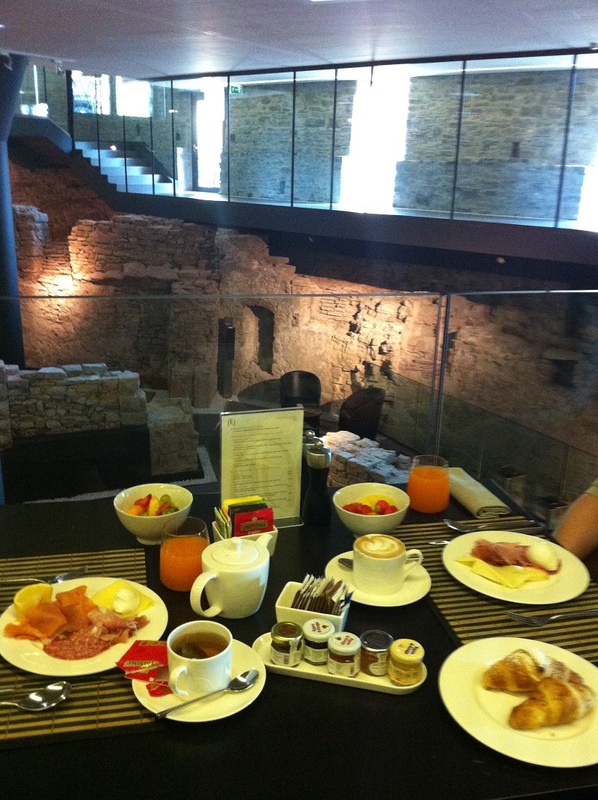 Hint: this hotel is built on the Roman ruins. 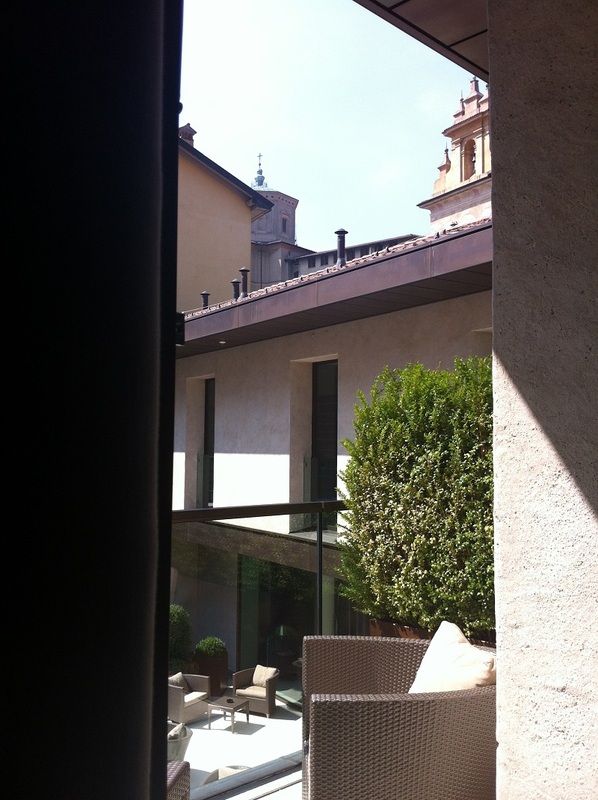 Hence the historical value of staying in this hotel is.. priceless! 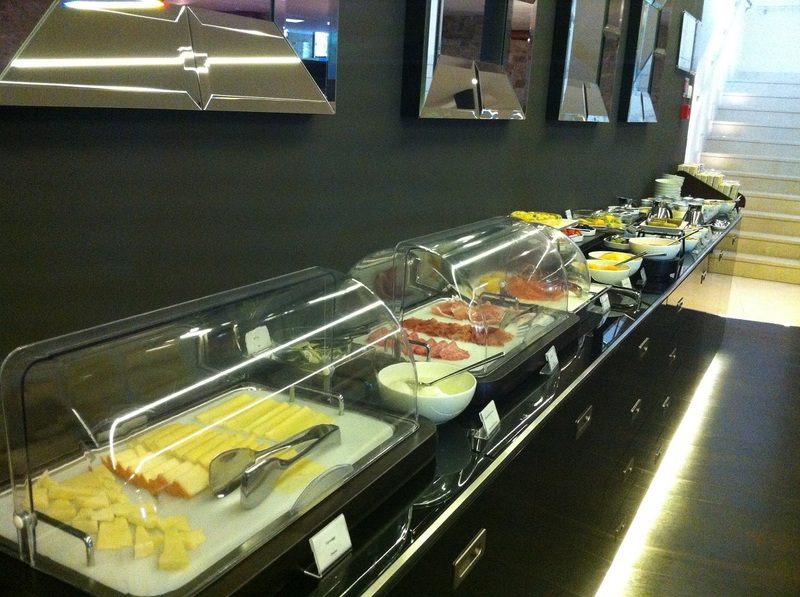 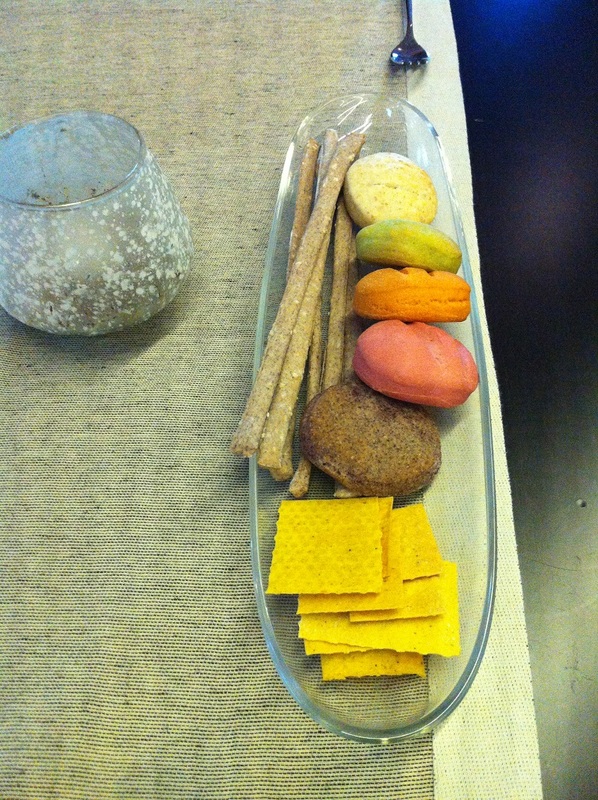 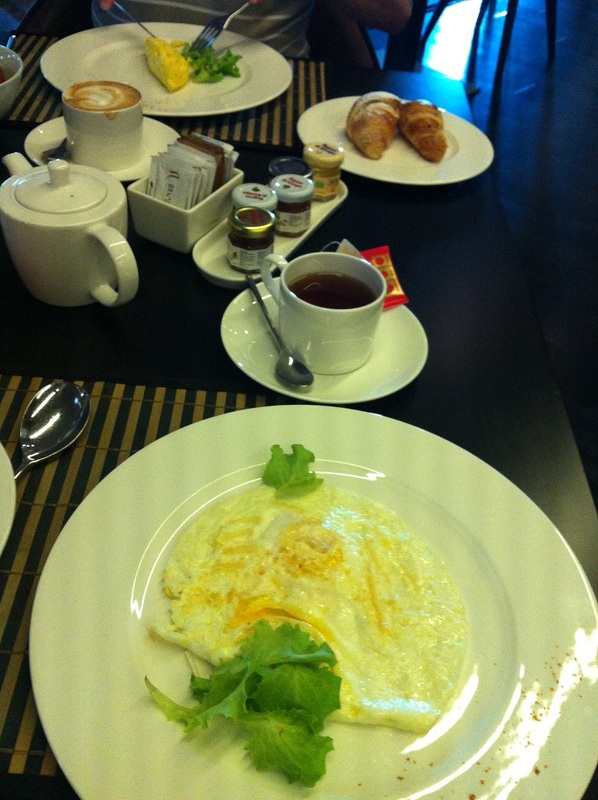 The breakfast at Relais San Lorenzo is fab! As the restaurant hotel is surrounded by the Romain ruins! 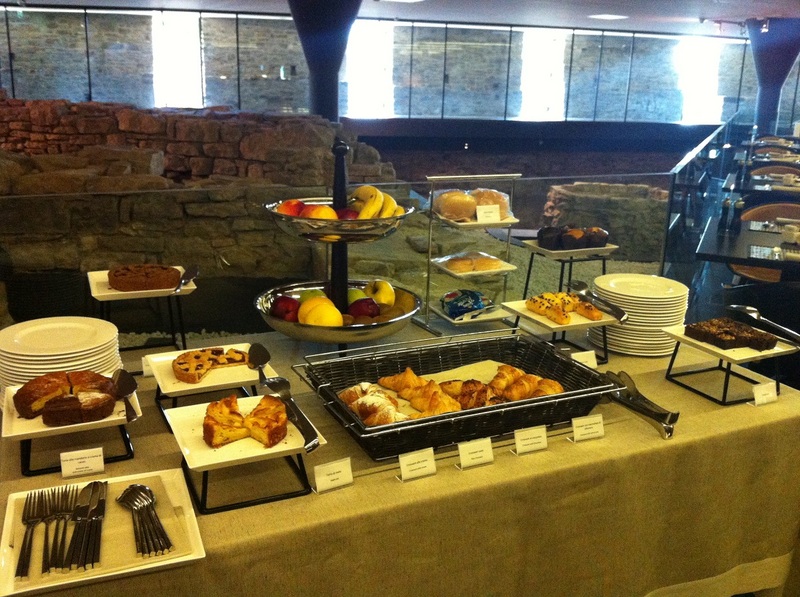 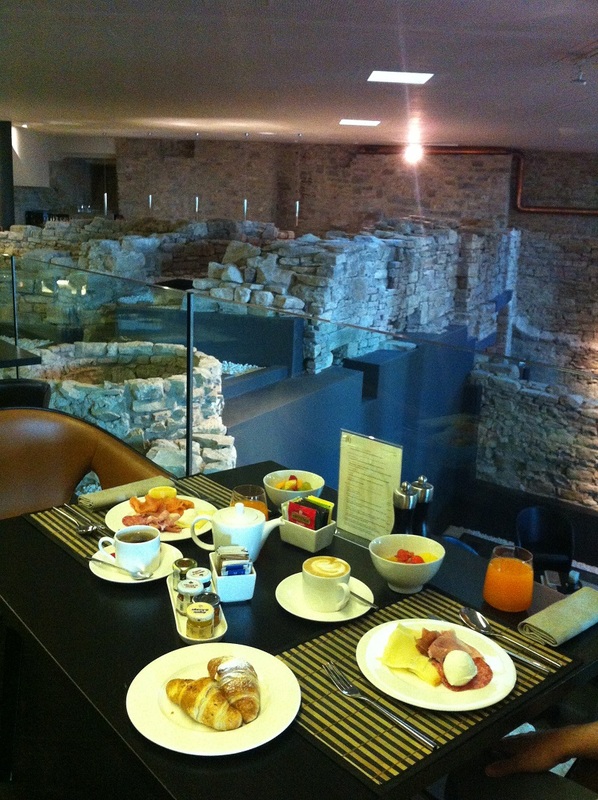 Breakfast by the Roman ruins: what more can you ask for? 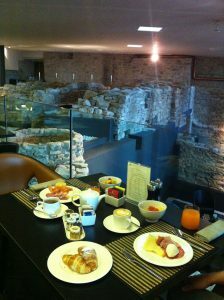 Our yummy table overlooking the Roman ruins! 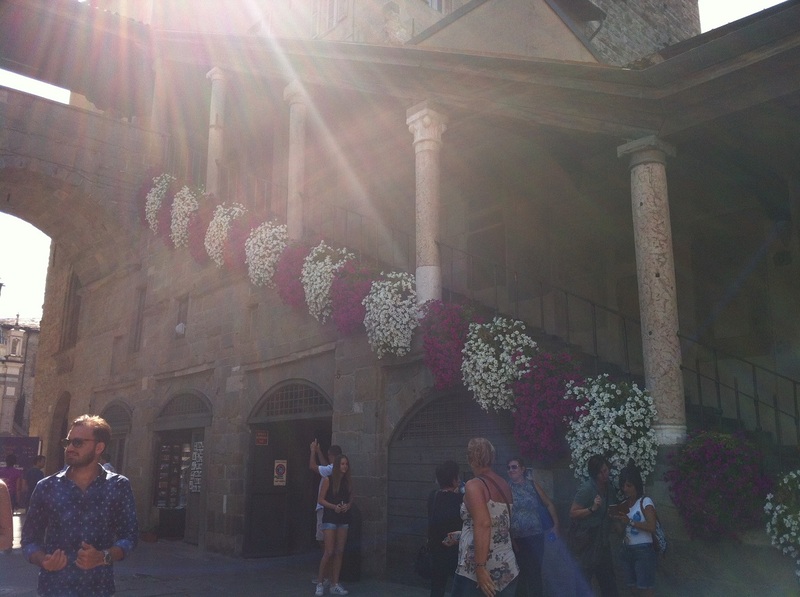 And it’s time to explore the Old Town! 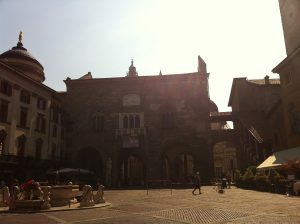 No one can’t deny that Bergamo Citta Alta is located in panoramic hills. 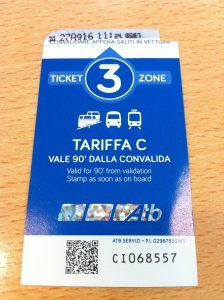 Other way to go up to Citta Alta is using funicular or cliff railway. 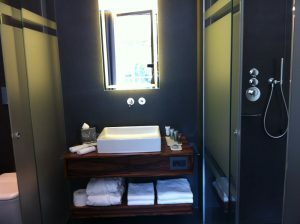 It is like a small and short version of sky lift. 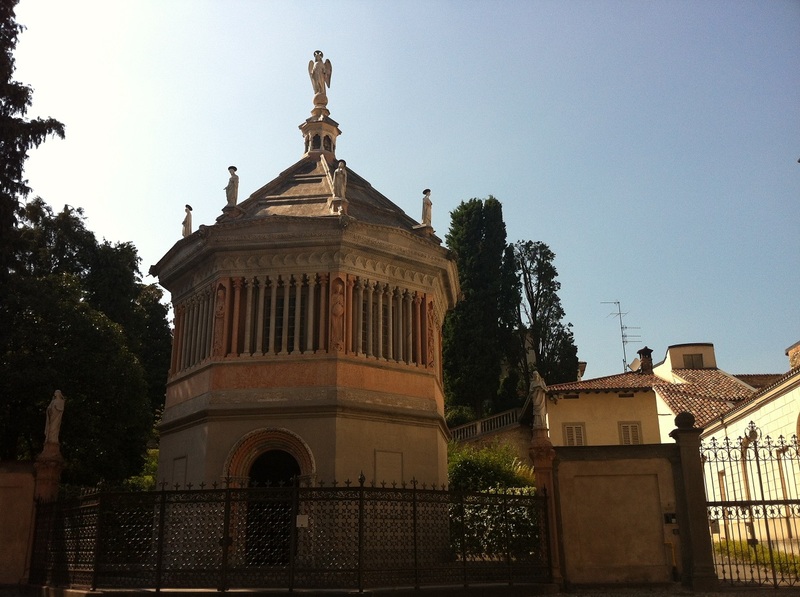 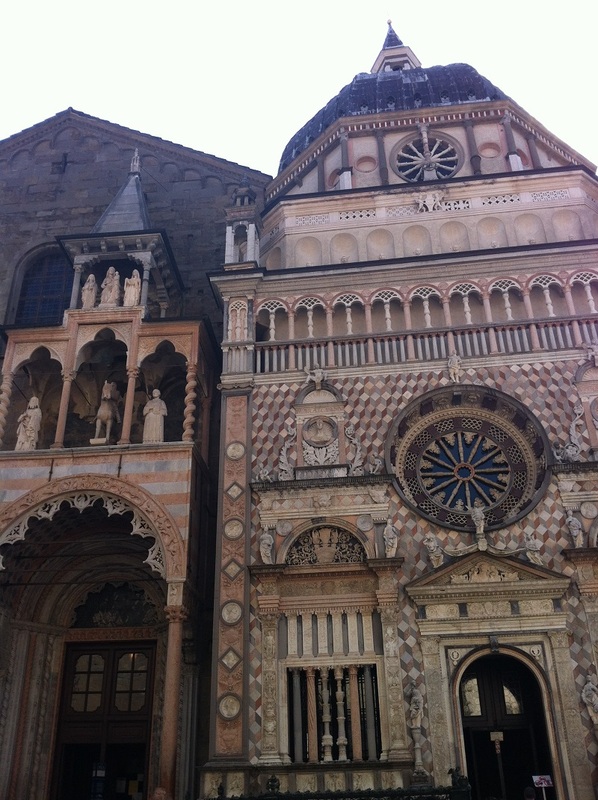 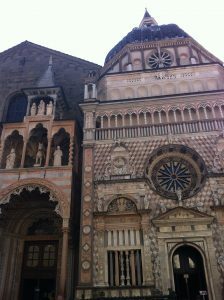 Here in Citta Alta, you can’t miss the 15th Century Colleoni Chapel built by the Colleoni family. 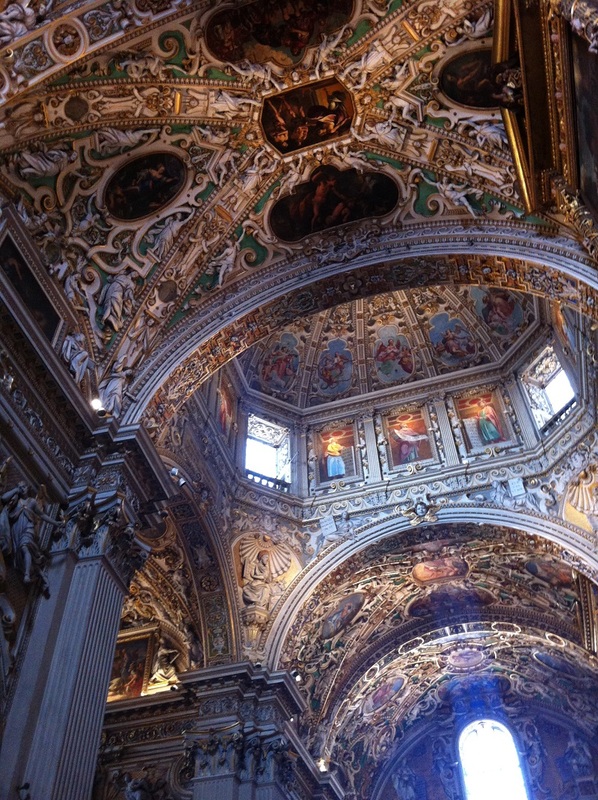 The artistic design of the Chapel is just epic! 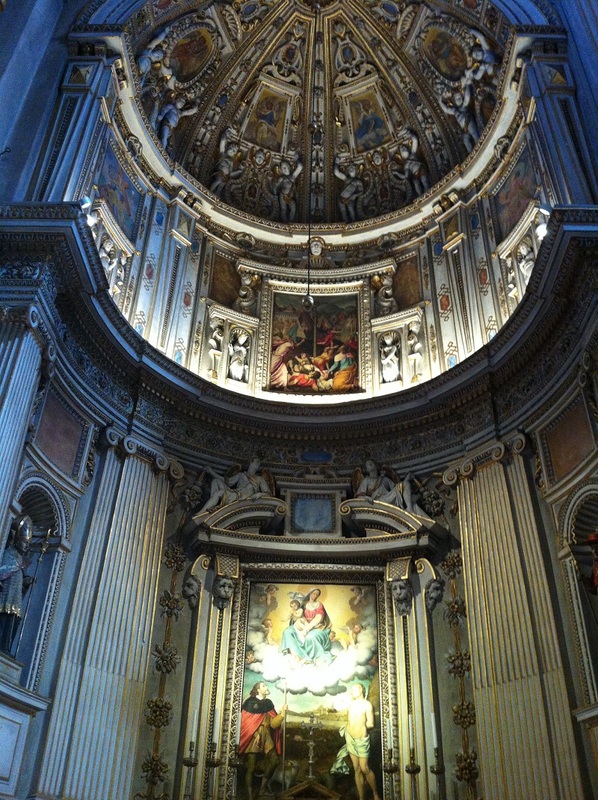 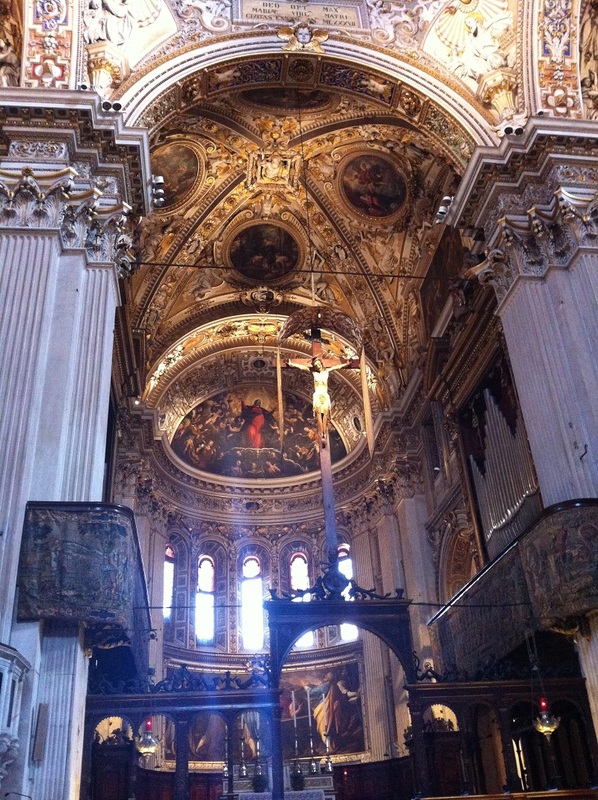 Then of course come inside the magnificent Basilica of Santa Maria Maggiore and experience its Baroque style on the interior ceilings and paintings. 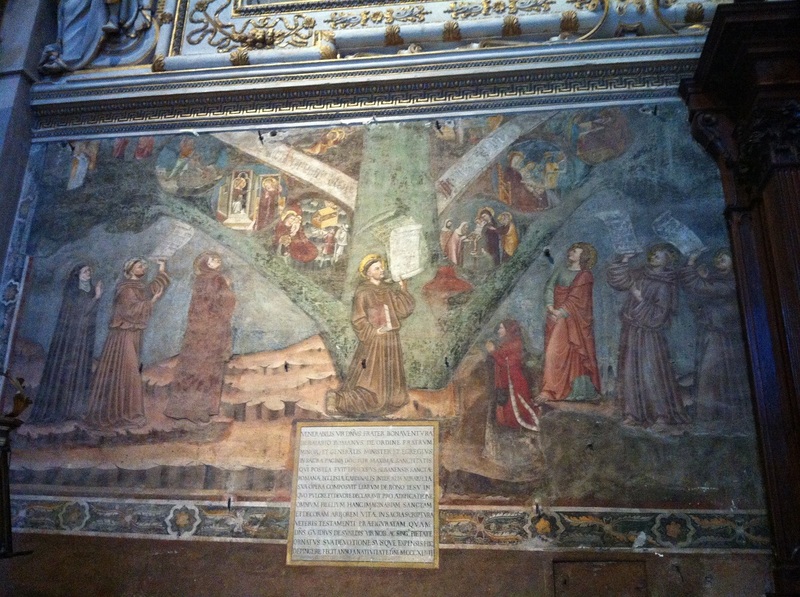 One of the paintings: is that Saint Anthony of Padova? 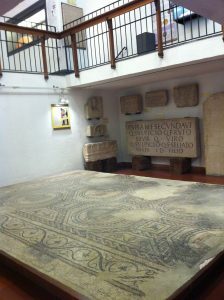 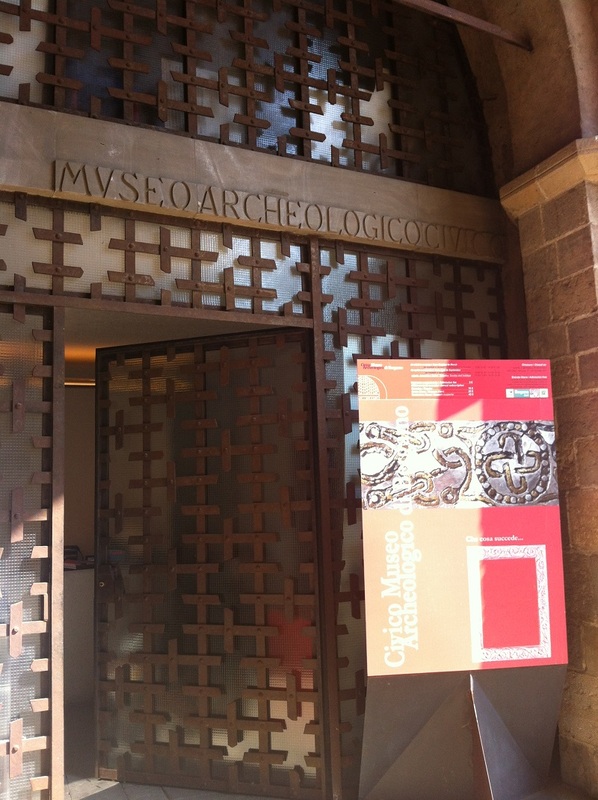 And if you are into Romans, don’t forget to visit the Archaeological Museum in Bergamo. 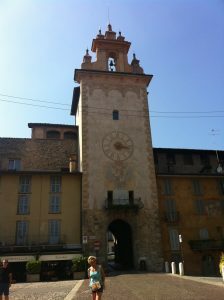 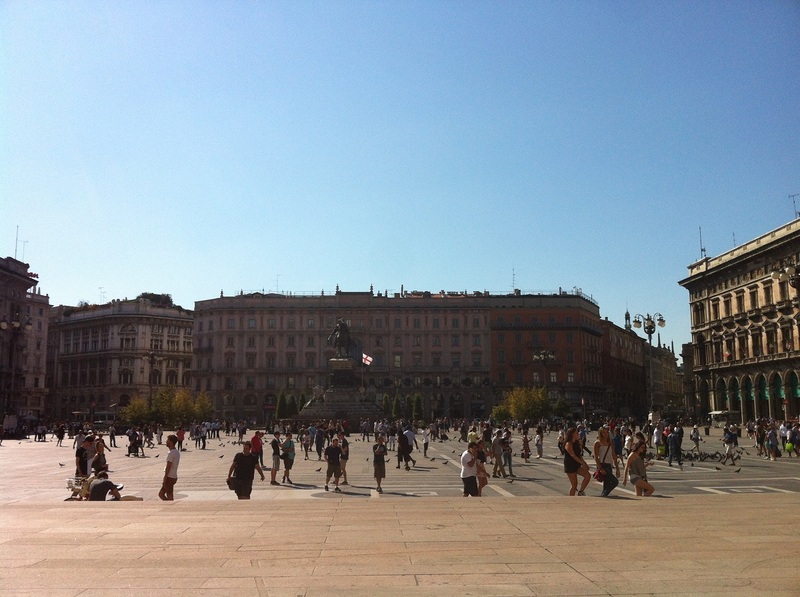 The main square is Piazza Vecchia, where it is believed to be built on top of Roman forum. If you fancy a fine dining restaurant, head back to Relais San Lorenzo, where you can enjoy Italian food lush in a Roman-ruins setting. 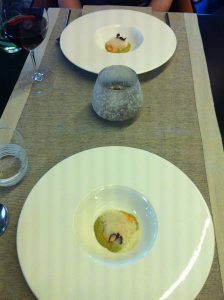 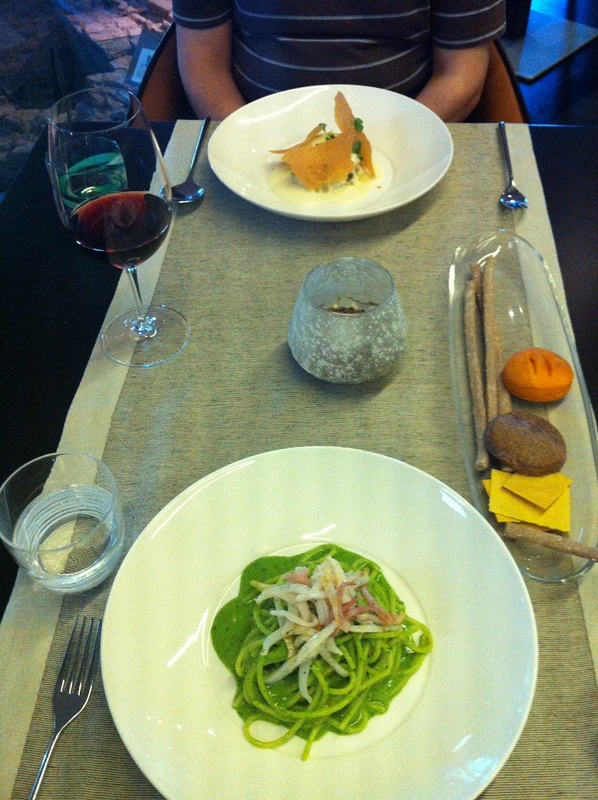 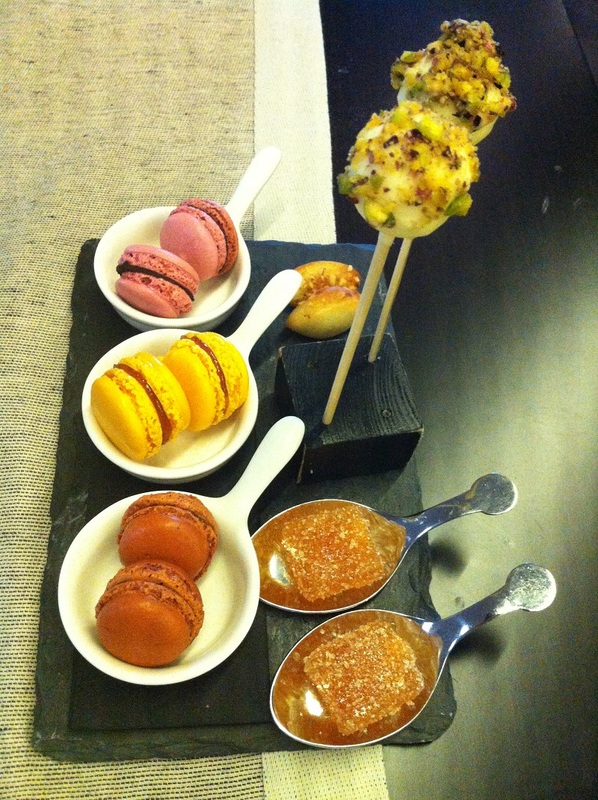 We did try the lunch at the Relais San Lorenzo and it was just perfect! 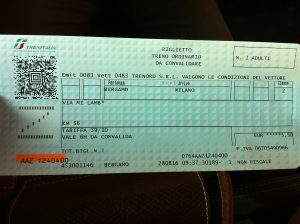 On the second day, we off to Milan by train from Bergamo Station. 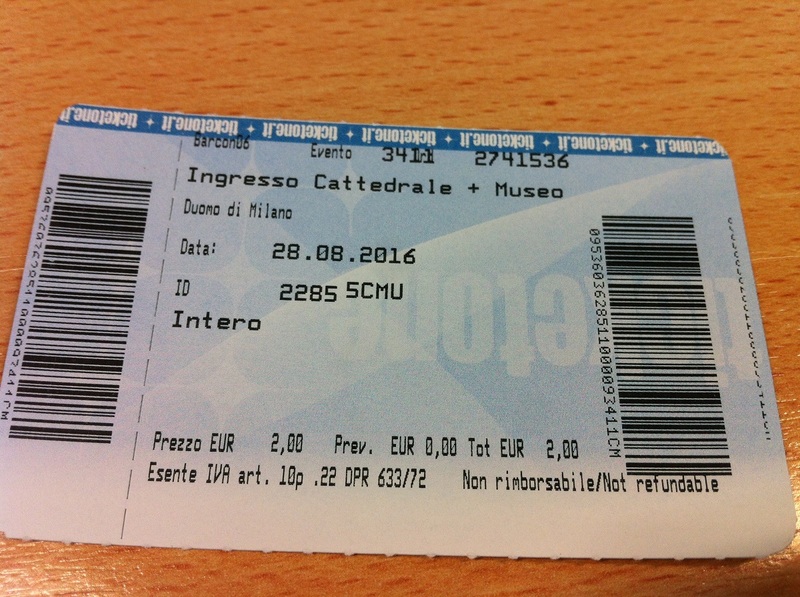 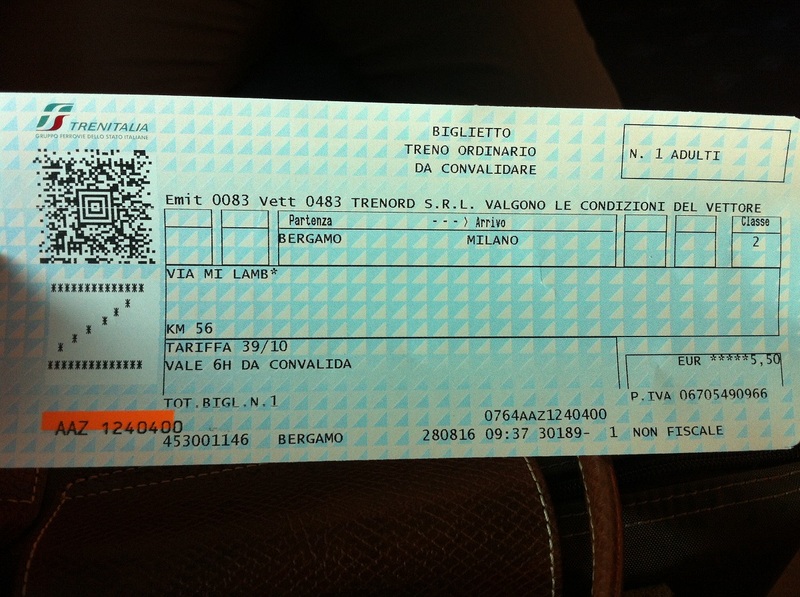 So we bought a return ticket from Bergamo to Milan. It is quite cheap, only 11 Euros return. 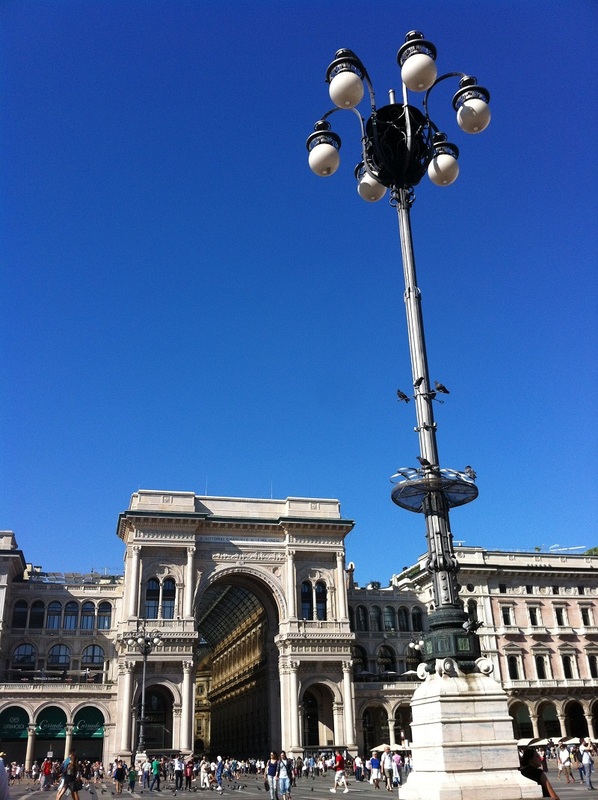 In Milan our first stop is the Milan Naviglio Grande Antiques Market. So we off to use the Milan Metro: from Milan Centrale into Porta Genova. 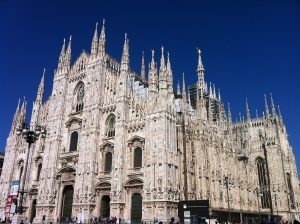 Please see here my full review of the Milan Antiques Market. The Metro is very convenient to use and it’s only 1.50 Euro for a single journey. From Porta Genova, we then hop off using the Metro again to go to Duomo. 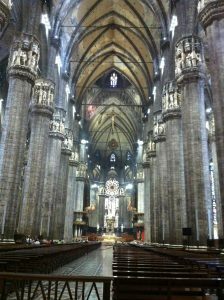 The Metro stop for Milan Cathedral is Duomo. 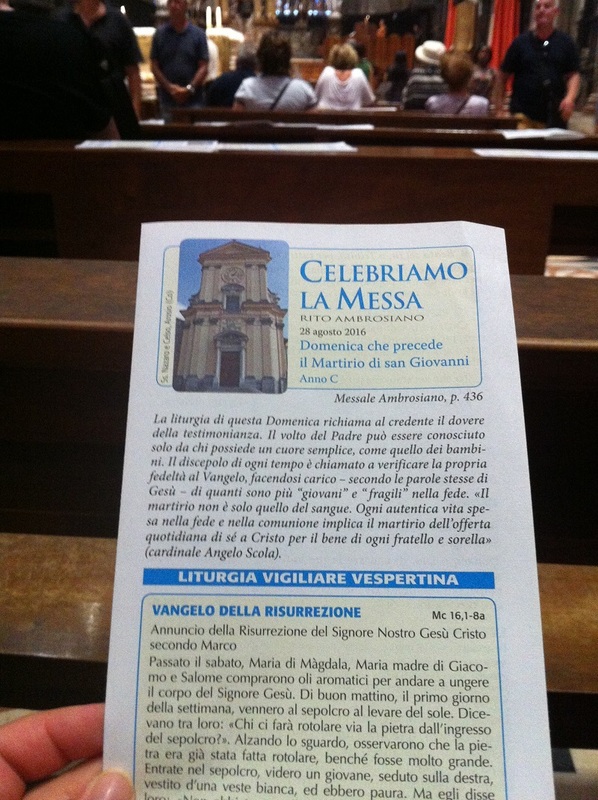 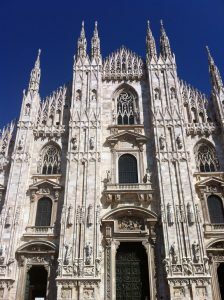 It is a very much obliged place to see when you are in Milan. 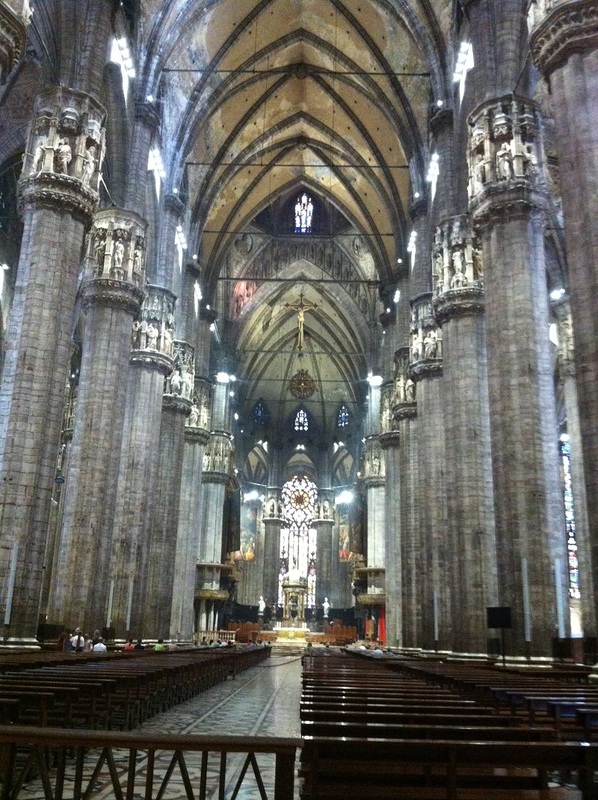 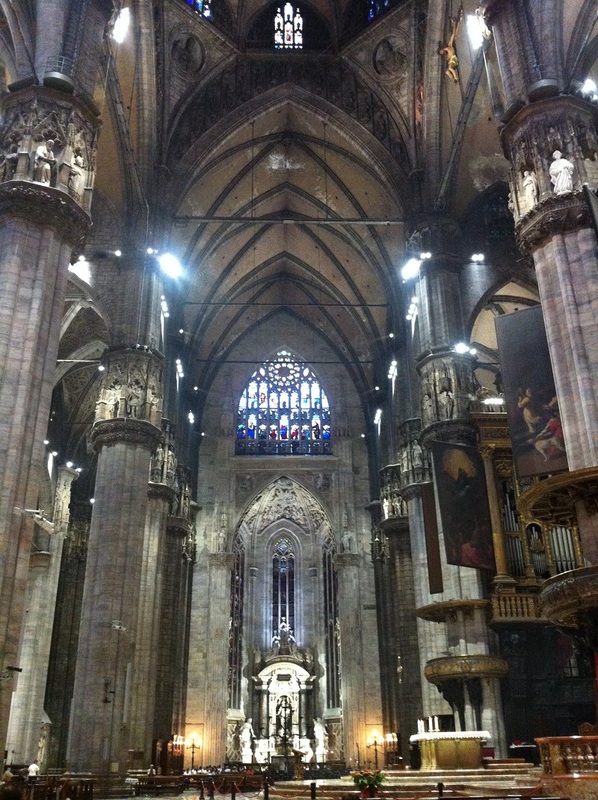 The magnificent Milan Duomo from the front. 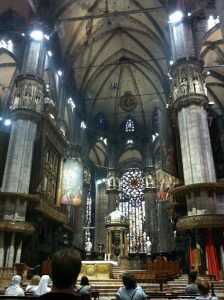 For only 2 Euros you can see this grand Cathedral and its museum too. 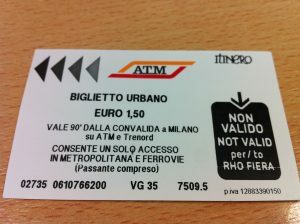 Be prepared to be in a long queue. 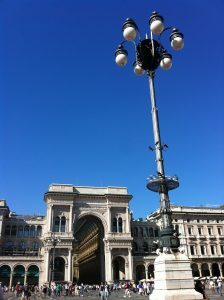 Clear blue sky, typical Italian summer! 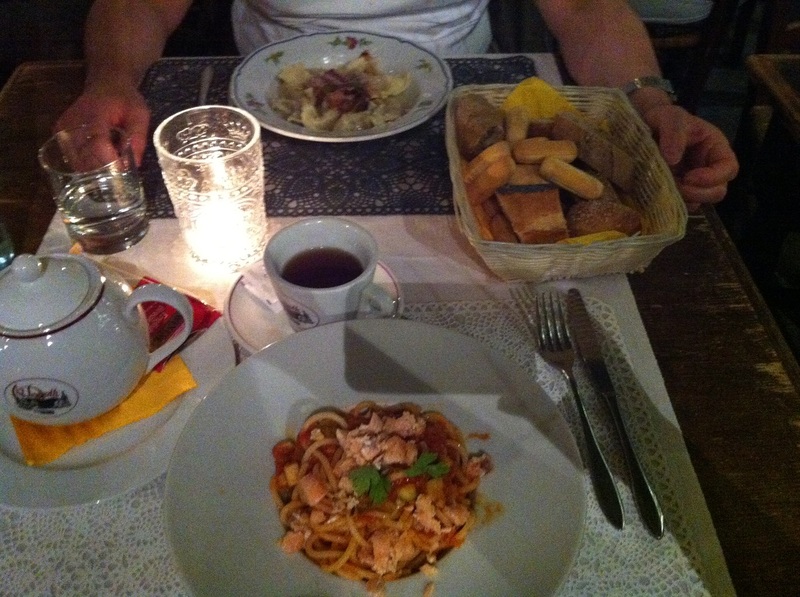 We had a fresh orange juice at a nearby cafe. 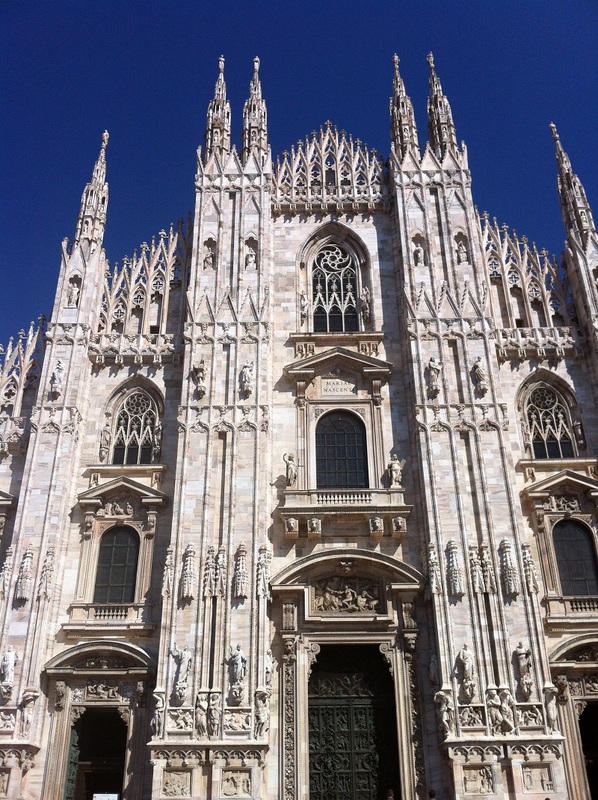 It is a nice cafe with the view of Galleria Vittorio Emanuele II and the Cathedral. 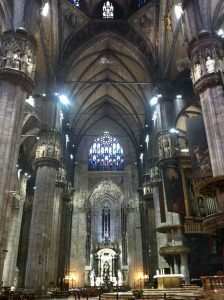 As our time in Milan is limited, we had to say goodbye for now to Milan, and back to Metro again going to Milan Centrale. 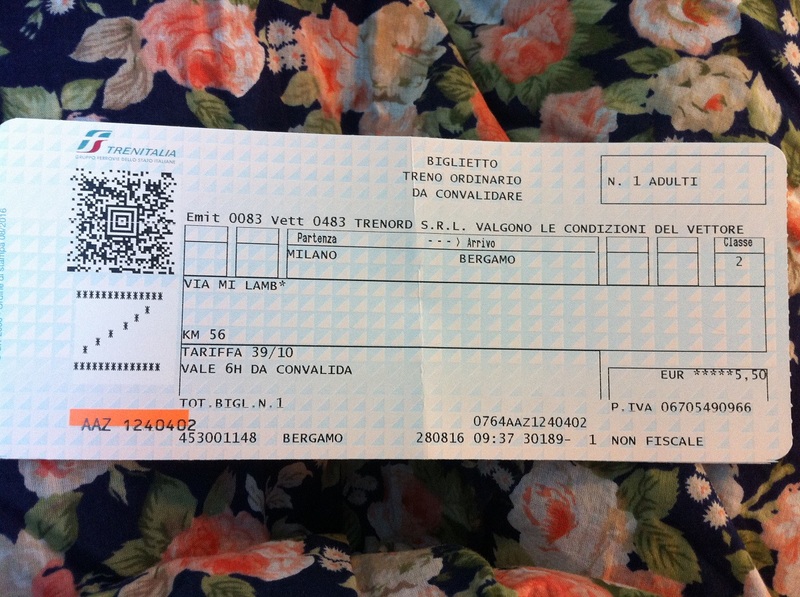 We then have an hour return journey to Bergamo. 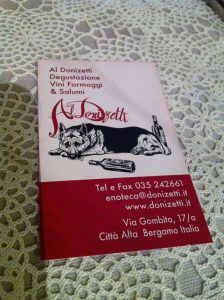 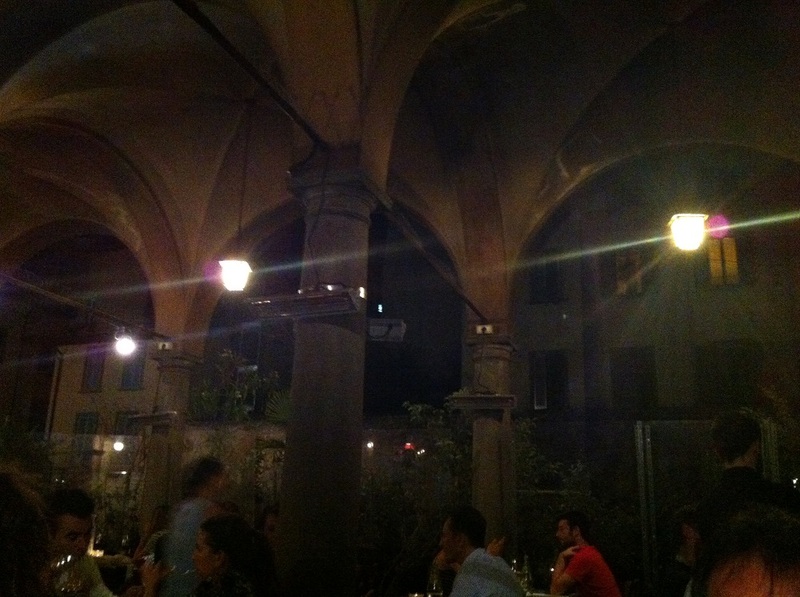 Once we arrive to Bergamo Citta Alta, we choose an open air dinner restaurant: Donizetti Bergamo. In the next morning, we have to catch our flight back to London Stansted. It’s sad that our holiday come to an end. But we are sure to be back in Italy next year!